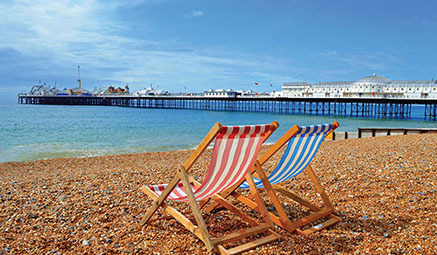 Packed with great sights and fun activities on the sunny South Coast, Eastbourne makes the ideal destination for a holiday. 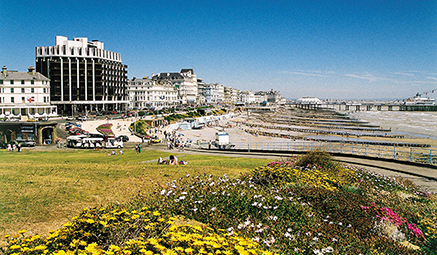 Four large parks, award winning beaches and a host of attractions including museums and galleries, not to mention charming cafes and fab shopping, Eastbourne boasts the famous three-tiered promenade bursting with colourful flowers. Brighton - Full Day - bright lights, beautiful buildings and big charm - there's so much on offer! Journey along the coast with us to reach this beloved English seaside town; full of happening places and excellent heritage to delight all ages. Visit the antique shops. Check out the ornate Brighton Pavilion. Wander its charming harbour. Enjoy the many good restaurants. Fall in love with the charming parks and gardens around or enjoy a pleasant stroll along the seafront.